The August 2016 Executive Board Meeting Minutes have been posted. 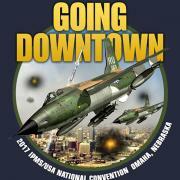 The website for the 2017 National Convention is now online. As a result of a dialogue between the newsletter editor of a Region 11 chapter, the R-11 Region Coordinator, and John Noack, Director of Local Chapters, a very comprehensive list of questions coming from Region 11 members was submitted to the entire E-board. The board committed to a written response, with the understanding that the questions and answers would be shared with the general membership. The July 2016 Executive Board Meeting Minutes have been posted. The June 2016 Executive Board Meeting Minutes have been posted.